A genre-splicing journey into the darkest depths of the soul. The Harsh Light of Day is a new British vampire-themed horror, with a story of revenge and loss at its heart. Shot on a micro-budget on location in Dorset, England it is the feature debut from writer-director Oliver S Milburn. 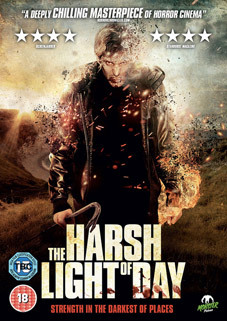 Described by Horrorchronicles.com as "A deeply chilling masterpiece of Horror cinema" and "Genuinely gripping" by Twitch Film, The Harsh Light of Day will be released on DVD by Monster Pictures UK on 1st October 2012 at the RRP of £13.27.